The 66 and wagons ran from Doncaster to Tyseley, where 50033 was collected and brought to the SVR at Kidderminster as 6Z33. The locos and wagons are seen arriving and setting back into the station. After uncoupling, the locos headed for the diesel yard and 33108 shunted the wagons. This entry was posted in All recent postings, Severn Valley Railway, Sharpo's World Photo Updates on May 31, 2018 by Sharpo. As I wait for the flask, this just went by. Oh, don’t laugh – I messed up my shot of 6M56, accidentally switched camcorder off as I was trying to adjust LCD screen to try and see what I was filming!!! This entry was posted in All recent postings, Sharpo's World Photo Updates on May 31, 2018 by Sharpo. 48151 near Beeston Castle in 2003, 92203 at Toddington in 2008, 37906 at Arley in 2010, 7812 at Bewdley in 2011, 57002 and 57309 at Tyseley in 2012, 34053 at Arley in 2013 and finally 37602 and 37609 on the Tesco at Old Hill in 2017. This entry was posted in "On This Day" (in the past), All recent postings on May 31, 2018 by Sharpo. Almost forgot to add this page, I’m slipping again! There were 3 locos running during the time I was there. This entry was posted in All recent postings, Model Engineering/Miniatures on May 30, 2018 by Sharpo. Video – 66147 Old Hill, 30/05/18. Also 172218. Due to engineering work south of Worcester, Round Oak trains couldn’t run through Norton Junction and the plan was to send them via the Lickey and Bescot. We won’t mention delays, but I don’t think all went to plan. 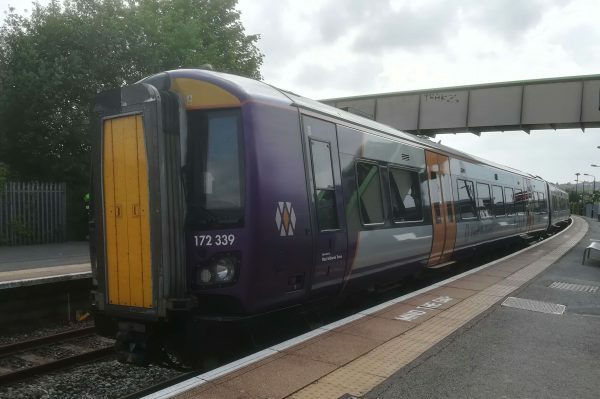 Anyway, it gave me one train to see – 6V05 from Round Oak to Margam, which ran south to Worcester, then headed back north through Stourbridge and on up to Bescot, then Walsall and down the Lickey. This entry was posted in All recent postings, Sharpo's World video updates on May 30, 2018 by Sharpo. This entry was posted in "On This Day" (in the past), All recent postings on May 30, 2018 by Sharpo. This entry was posted in All recent postings, Model Engineering/Miniatures, Sharpo's World video updates on May 29, 2018 by Sharpo. I know nothing about buses/coaches and didn’t make any notes of numbers or registrations, but took some video and have listed all registration numbers that I can see when playing it back. Also seen are some of the battery vehicles in the museum. Certainly plenty to see, but filming obviously not easy inside the buildings. I’m sure enthusiasts will recognise many more of the vehicles inside the building which are not showing in my number list. No doubt there are many more vehicles in the collection which do not appear in my video. This entry was posted in All recent postings, Sharpo's World video updates on May 29, 2018 by Sharpo. 150216 at Kidderminster in 2003, 45110 at Kidderminster in 2005, Miniature Railway at Wythall Transport Museum in 2006, 6201 at Langley Green in 2010, D4167 at Okehampton in 2011 and convoy of D9009, 33108, 37521 and 55019 at Kings Norton in 2013. This entry was posted in "On This Day" (in the past), All recent postings on May 29, 2018 by Sharpo. 60008 at Cardiff in 2003, Weston Park Miniature Railway in 2005, 37516 at Leamington in 2009, 50135 at Bewdley in 2010 and finally 37194 and 37087 at Bodmin Parkway in 2011. This entry was posted in "On This Day" (in the past), All recent postings on May 28, 2018 by Sharpo. Three locos were running at the track during my brief visit. They will be seen in my other video which will be uploaded later. This video was intended to be the second video, but as it was late in the evening there was not time to upload the other first!! I filmed the full journey round the circuit, moving the camcorder from side to side a couple of times to keep it on the inside of the curve and give a better view of the loco and track. This entry was posted in All recent postings, Model Engineering/Miniatures, Sharpo's World video updates on May 27, 2018 by Sharpo. Continuing the walk around the Water Park, a good mix of miniature railway and traction engines as we head back to the car.